Simple but very good value for money , not far from main strip and a little shop below which was very handy. Everything was nice and relaxed and staff were excellent. Location. Pool was nice. Apartments basic but every thing you needed. Everything about apartment was great .from brand new .toaster.kettle .and iron . Reasonable location, about 8-10 mins walk from main strip; A decent supermarket about 5 mins down the road and a larger supermarket just before the main strip. Beds quite comfortable. Very reasonably priced for 7 nights. View from apartments was great and apartment was bigger than expected also staff and owner were lovely. Very central just 10 minute walk to front. We will definitely book again. Best restaurant was Hi Life and worst was Blue Marlin, ignorant is understatement. 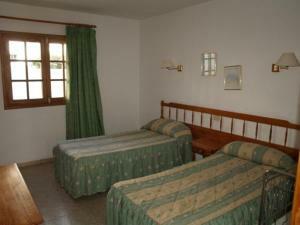 Lock in a great price for Apartamentos Isabel – rated 8 by recent guests! Apartamentos Isabel This rating is a reflection of how the property compares to the industry standard when it comes to price, facilities and services available. It's based on a self-evaluation by the property. Use this rating to help choose your stay! 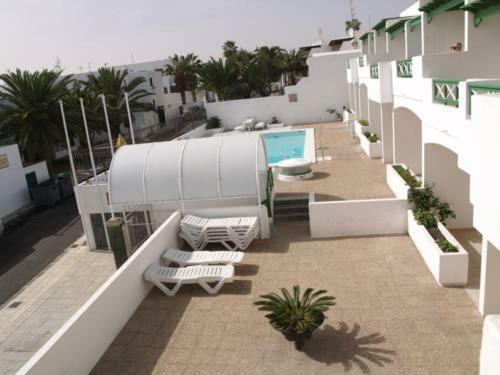 This small apartment complex is just 1,000 feet from Puerto del Carmen beaches and the resort’s restaurants and bars. 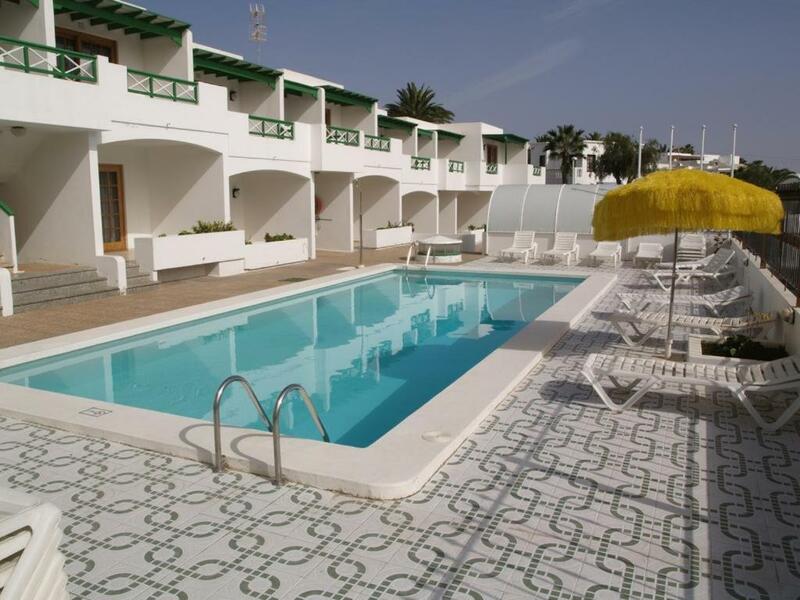 Cool off from the Lanzarote sunshine in the complex’s pool. The Apartamentos Isabel have an attractive, Mediterranean feel thanks to their whitewashed walls, pretty wood-framed windows and green detailing on the roof and balconies. Spend your days soaking up the sunshine on your private terrace area before cooling off with a dip in the property’s swimming pool. Apartamentos Isabel also offers shared laundry facilities for guests, and apartments come with a toaster, iron and hairdryer. In the evening you can head into the center of Puerto del Carmen. Here you can browse the bars and restaurants and enjoy the lively, holiday atmosphere with locals and other holidaymakers. Experience the island’s unique landscape with an excursions arranged by the hotel. Or, discover beautiful beaches and amazing countryside by hiring a car, motorbike or bicycle on site. 뀐 Located in the top-rated area in Puerto del Carmen, this property has an excellent location score of 8.5! When would you like to stay at Apartamentos Isabel? House Rules Apartamentos Isabel takes special requests – add in the next step! Apartamentos Isabel accepts these cards and reserves the right to temporarily hold an amount prior to arrival. Please note that the remaining amount of the reservation must be paid in cash upon arrival. Please note that this property has 2 different entrances. C/ César Manrique, 29 and C/Venecia, 23. Please inform Apartamentos Isabel of your expected arrival time in advance. You can use the Special Requests box when booking, or contact the property directly using the contact details in your confirmation. A damage deposit of EUR 50 is required on arrival. That's about 56.22USD. This will be collected as a cash payment. You should be reimbursed on check-out. Your deposit will be refunded in full by credit card, subject to an inspection of the property. Everything was great,there was nothing particular that I didn’t like. Unfortunately the 4 days we were there, we never had any cleaners come to our room. No more toilet roll, no fresh towels. No towels upon arrival. Our beds weren’t changed for the time we were there. And our room wasn’t cleaned once. Good size room, friendly owners. Very comfy beds. Excellent location. Lovely and central.very nice and clean. Rooms weren't ready on arrival, clean towels weren't delivered on time and old towels weren't picked up . Bed squeaked whenever you moved at all and arrived on Sunday, pool was dirty and room wasn't ready , then shower curtain fell off !! No shampoo or tea towels provided. Internet did not work. Premises is old and poor standard.